Fortnite update 1.8 is now rolling out for players on PS4, Xbox One, and PCs. However, there is a bad news for PlayStation 4 and Pro users. The Fortnite game is now capped at 30FPS on PS4 and PS4 PRO. According to the Epic games, the unlocking frame rate was an accidental change. The game developers feel that capping consoles to 30 fps will provide the best experience based on internal metrics and blind play testing. In addition, the team is working on improvements for locking the “front end” UI and lobby screens at 60fps, and investigating adding a “display options” menu on consoles. 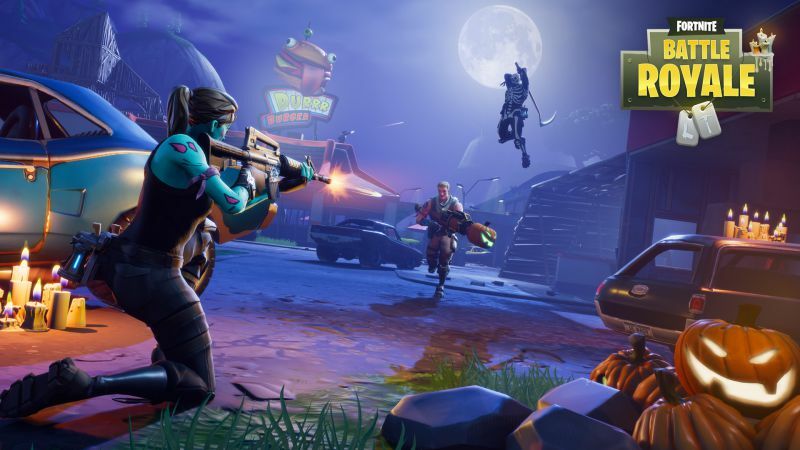 At launch, Fortnite had significant problems with frame syncing and render threads with the GPU at 30fps. While fixing the frame syncing problem engineers also identified significant input latency because of parallel rendering on consoles. This introduced latency as high as 120ms and made the experience on both consoles poor. While working on a fix for this, we inadvertently released a build that uncapped framerate on PS4 and PS4 Pro with our 1.5 release. This was actually a happy mistake, as it hid a lot of the issues with frame syncing and input latency compared to what we launched with and did mean that we hit 60fps in some scenes. However, that also introduced significant variations in frame rate, and we never really reached or could maintain a 60fps lock for longer than a few frames. In general, our data says that average fps on PS4 Pro for Save the World, for example, was around 45fps with a range between 20fps and 55fps. Those dips under 30fps would often get compounded over multiple subsequent frames causing an even worse experience. In addition, it could cause “stuttering” of frames. Your TV can display a new frame 60 times every second, but often would be forced to display the same image twice in a row because the game was rendering at a lower rate. This made smooth camera movements appear “jumpy” as the time between frames oscillated back and forth. Since then, we’ve been working on the real fix to both frame pacing and input latency and doing significant testing on what would provide the best user experience. One of the many measures we use to track performance is what we call “MVP30” or Missed VSync Percentage at 30fps. In simplified terms, how many frames did we miss rendering compared to perfectly rendering every frame at 30fps. At launch we hovered around 5% missed frames. Our last internal performance test had that number at 1% or less. We have also reduced overall input latency from 120ms to around 76ms in typical gameplay, which was achieved by limiting the time between the simulation thread kicking off and the frame being presented to the display. Our hope was that fixing the frame syncing and input latency bugs would introduce a much better player experience at a consistent frame rate for all players. We have run multiple blind playtests with all of the variations, unlocked framerate on PS4 Pro and PS4, locked framerate on Xbox One, along with the correct fix for both, and players were pretty universal in their preference for what we’re about to ship with 1.8. We do intend to cap framerate up to 60fps in our “front end” UI and lobby screens in the short term, and we are constantly striving for optimizing the engine and game code to provide the best experience. We’re also investigating adding a menu for capping and uncapping fps and other types of display options, but want to make sure we think through that sufficiently. There’s always a balance between optimizing and striving for the best, most consistent, user experience while allowing players the ability to play the way they want. We also have to consider the competitive balance implications.